Harvey Joe Tatum, age 73, of Fayetteville, TN passed away on January 30, 2019 at his residence. He was born in Lincoln County, TN on April 16, 1945, son of the late Harvey and Willie Mae Hurt Tatum. 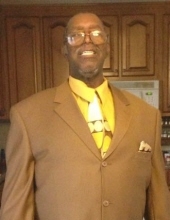 He was retired from General Motors and was a member of Joy Missionary Baptist Church in Huntsville, AL. In addition to his parents, he is preceded in death by three brothers, Robert Lee, James Earl, Timmy and one sister, Margaret. He leaves to cherish his memories: one daughter, Filecia Tatum; two grandchildren, Autumn Tatum and Tyler Tatum; two great grandchildren; Devin Tatum and Ariane Tatum; sisters: Julia and Teresa; and a host of nieces, nephews, relatives and friends who will never forget his “one-of-a-kind” wisdom about life that he imparted and will stay with them for many years to come. Homegoing Services will be conducted on Saturday, February 9, 2019 at 12:00 p.m. in the chapel of Gallant-Riverview Funeral Home. Burial will follow in Pleasant View Cemetery. "Email Address" would like to share the life celebration of Harvey Joe Tatum. Click on the "link" to go to share a favorite memory or leave a condolence message for the family.